But for 1977 and 1978, it is only like the rims you see in that auction. 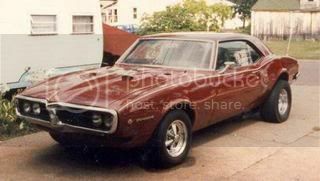 The second photo of the rim was used on Firebird and some Trans Ams..... but with Pontiac's lovely way of keeping track, it is hard to tell what was used exactly on what. I think the 1978 15X8 rims that you show as special edition were really the only rims you could get with the WS6 option. I personally don't like those rims and put the machined edged ones on my 78. In fact, the copy of the GM bulletin you've put on the site says that the 8" gold cast rims are painted gold, including the ribbed edges. When I was ordering my center caps, the guy asked me what the wheel code was....his jawed dropped when I said YJ8. He figured I wouldn't know.